The Asia Pacific surpasses geographical boundaries like the Asia Region and the Pacific Rim. The civilizations and the historical meanings the Asia Pacific encompasses are born out of the fusion of Eastern and Western civilizations. Asia Pacific Studies focuses on the Asia Pacific from interdisciplinary perspectives, encompassing humanities, social and management sciences and natural sciences. 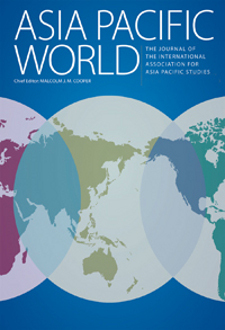 The International Association for Asia Pacific Studies aims to shape and promote Asia Pacific Studies. The association will be a centre of excellence, that will accumulate and publish the results of research in particular disciplines and on subregions of the Asia Pacific.